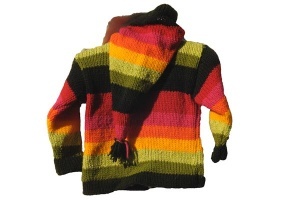 Rainbow colours on this original sweater design which is very soft as well as practical. A different look to this HuB sweater with a zip and drawstring pixie hood. 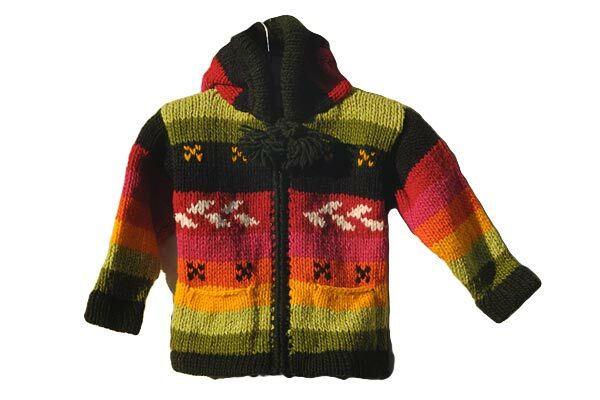 Suitable for boys and girls with layered colours. Knitted in wool/cotton with simple deign features. Blue Girl's sweater size 2.